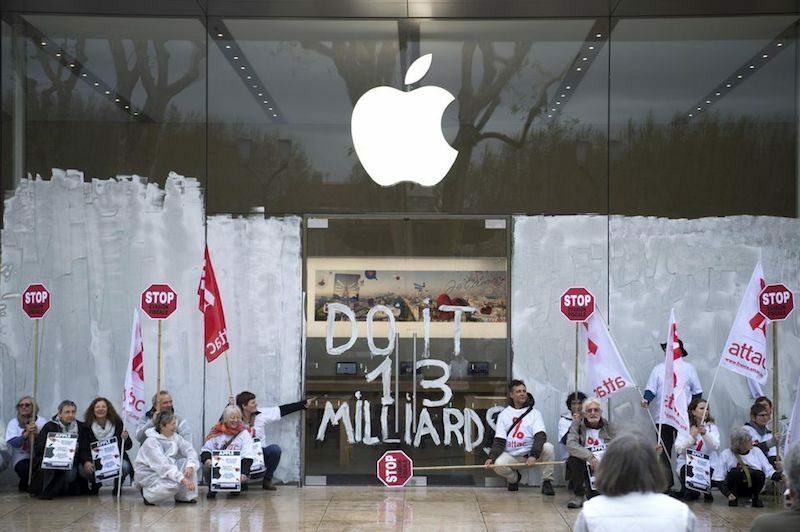 The High Court of Paris on Friday denied Apple's request for an injunction that would have blocked activist group Attac from protesting at the company's retail stores across France, as it has been doing for the past several months. The order states that the mere presence of protesters at Apple's stores in France, without violence, vandalism, or customers being blocked from entering the premises, is not enough to justify limiting the group's rights to freedom of expression and freedom of peaceful assembly protected by human rights laws in Europe. The court added that Attac acted in accordance with the European Union's Statutes of the Association, and defined the protests as a matter of public interest. Apple has been ordered to pay 2,000 euros to cover Attac's legal fees, according to the order, which was earlier reported by French website MacGeneration. 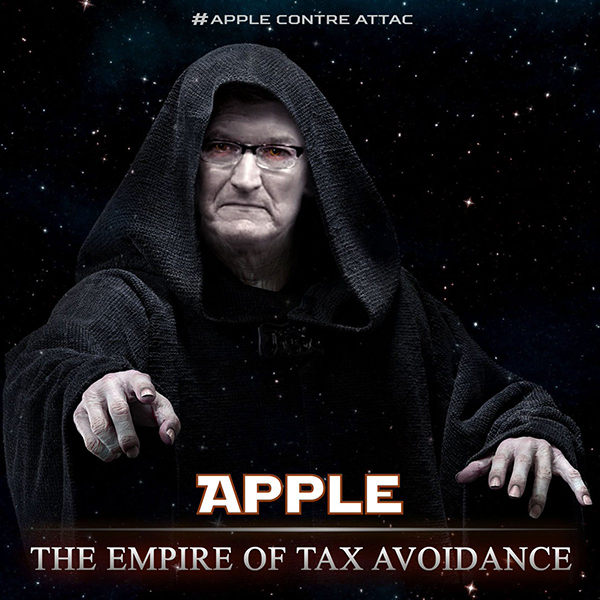 Attac is a voluntary association that has been accusing Apple of corporate tax evasion in Europe, in line with the European Commission ordering Ireland to recover around 13 billion euros in back taxes from the iPhone maker in 2016. Apple and Ireland have denied the accusations and are appealing the decision. Apple previously said it has "a long tradition of supporting individuals and groups that peacefully express their opinions," but it accused Attac's activists of "vandalizing shops and endangering the security of staff and customers," which it finds unacceptable, according to court documents obtained by The Guardian. During a stunt at an Apple store in Aix-en-Provence last November, for example, activists painted "pay your taxes" on the glass windows. Attac also gathered in front of the High Court of Paris last week with Stormtrooper costumes and Star Wars-themed signs that equated Apple to the evil Galactic Empire. Attac has a different view. In a blog post published today, the association said it is "defending the public interest" with "non-violent citizen actions," and it has previously called its actions "festive and good-natured." Apple has yet to comment on today's decision, and it's unclear if it will exercise other legal options in its fight against Attac. I find these protesters to be a bunch of moral high grounders. They don't know what's actually happening behind the scenes. Not relevant, fact is you have freedom of speech in Europe, glad the judge denied Apple's request. Tim is very liberal when it comes to social freedoms but extremely right wing when it comes to protecting his money. Its nice to have it both ways, huh Tim? So, if I understand correctly you find painting on a window "vandalising", guess what, you can wash that off in no time. I'm pretty sure you would call it vandalizing if it was done on your windows, no matter how easy it is to wash it off. So in France its ok to vandalize private property as long as you claim that it is in peaceful protest. Got it. What a well-thought out, nuanced, intelligent statement. I’m conflicted on this. I believe in free speech, but if these protesters are disrupting service and affecting sales, I feel like Apple has the right to tell them to leave. Paint which can easily be removed by washing the windows is not "vandalising". I'm all for free speech but painting stuff on someone's windows isn't ok. Do your speeches and chants, have signs but painting those signs on property you don't own.. ah that's craziness.